Posted in: Inspiration, Sharing, Writing Exercises. I hate that my managers ignored my e-mail. I hate assumptions. I hate how my muffin made my mouth feel dry. 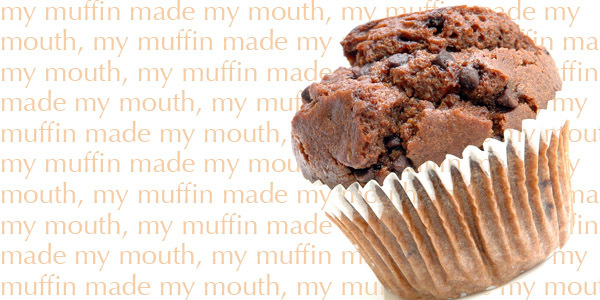 I even hate that “my muffin made my mouth” is an alliteration (and that doesn’t even make sense because alliteration is fun). I’m happy in-between the hate. I joke and smile but every time there is a bit of tension or stress, rather than dealing or letting it roll off my back, I have a little surge of hate to deal with. This reaction could be useful if I was attacked by Ninjas or trying to return a defective product. (After all who couldn’t use a little hate-fuel when in a fight to the death.) But sadly, and happily, no fights to the death are forthcoming…just regular day stuff. I know (in the thinking part of my brain) that I don’t actually hate things; I’m just tired and a bit emotionally burnt. (I saw a horrible accident a couple of days ago.) But for some reason the thinking part of my brain and the reacting part of my brain aren’t on speaking terms. Reacting Brain – Everything is horrible, people are stupid and I hate everything. Thinking Brain – You’re just tired. Reacting Brain – La la la la la la. I can’t hear you. Thinking Brain – I’m just going to leave this supportive message here for when you’re ready to hear it. Reacting Brain – Stop leaving me messages. I hate messages! Thinking Brain – We love our life. Reacting Brain – One more message and I’m reporting you as a stalker. In good news, I feel better today than I did yesterday and I’m pretty sure I’ll feel even better by tomorrow. In other good news I totally channeled the icky feelings yesterday into writing. Seeing a tragic event always gets me thinking about how I would handle a similar event. It makes me want to tell everyone I care about how much I love them. This time that desire came out in writing and after I saw a terrible accident I wrote a rather strange love song. (See below.) So today, put pen to paper and join me in writing a message to someone you love. Say it in lyrics, say it in a poem, say it in an essay or a letter…just say it. Happy writing. NB. Dear everyone I love. I love you. I wish I had more time to see you but my time management skills need work. And my plan to slow the spin of the earth to add a few extra hours to each day has been deemed “unlikely” and “the sort of thing an evil villain would plan” (haters). But please know you’re in my thoughts. You’re the one I’d call if there were no tomorrow. You’re the name I’d sigh with my last breath. You’re the one I’d call when it all came down. My ICE, my love, my heart, my own. If it was me against the world, I’d wish you far away. Cause if I have to go, I wanna know you’d stay. How could it be fine if you crossed over the line? It’s your face I wanna see when my life’s flashin’ by. If they ask who should we call, I wouldn’t think twice. When my mind fills up with fear only you can make it clear. Cause if I have to go, I wanna know you will stay. ‘Cause hand in hand my friend, I’ll be yours past the end. My ICE, my love. My ICE, my love.